The Almighty Creator gives life and causes death, and to the Lord you will be returned. Indeed, to the Divine Authority alone belongs the dominion of the heavens and the earth; It is that Authority alone Who gives life and causes death. And besides God you have not any real protector or any true helper. 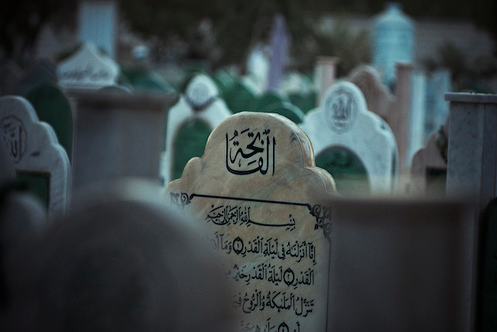 Every soul will taste death, and you will only be given your full compensation on the Day of Resurrection. So he/ she who is drawn away from the Fire and admitted to Paradise has attained (the real success). And what is the life of this world except the enjoyment of delusion? Wherever you may be, death will overtake you, even if you should be within towers of lofty construction. "Peace be with you, Dwellers of this abode! From among the faithful and the Muslims; and we, if it please Allāh, will join you; we ask of Allāh security for ourselves and for you." The Messenger also said: "When you pray over the dead one, be sincere in your prayer for him." "O Allāh! Forgive our living ones and our dead ones, and those of us who are present and those who are absent, and our young ones and our old ones, and our males and our females. O Allāh! Whom Thou keepest living among us cause him to live in submission to Thee, and whom Thou causest to die from among us make him die in faith. O Allāh! Do not deprive us of his reward, and do not make us fall into a trial after him." Death is the great equalizer, which collapses all illusions and it is the portal from this transitional world to the next permanent world. If there is only one thing certain in life, that is death, which is inescapable. After death, in all religious tradition there are sanctioned ceremony called funeral that celebrates, pay respects, sanctifies, or remembering the life of a person who has died. Funerary customs comprise beliefs and practices used by a culture to remember the dead, from interment itself, to various monuments, prayers, and rituals undertaken in their remembrance and honor. In funerals, Muslims are distinguished by firm adherence to rules that keep the dignity of the deceased, and at the same time consider the feelings and emotions of sorrow of the concerned family. A loss of an individual is not just regarded as a loss to the family, but to the whole Muslim community as well. For this reason, it is common for people who may not know an individual personally to attend his or her funeral. In fact, Muslims are encouraged to attend any Muslim’s funeral, due to the profound personal, social, and spiritual significance of such an event. Muslims strive to bury the deceased as soon as possible after death. 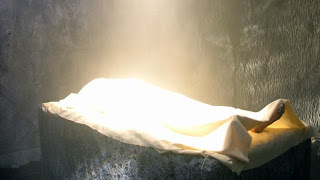 Therefore, it is not unusual for the deceased to be buried within 24 hours of their death. The main steps include washing the body of the deceased, shrouding it, performance of the funeral prayer, and finally, burial. 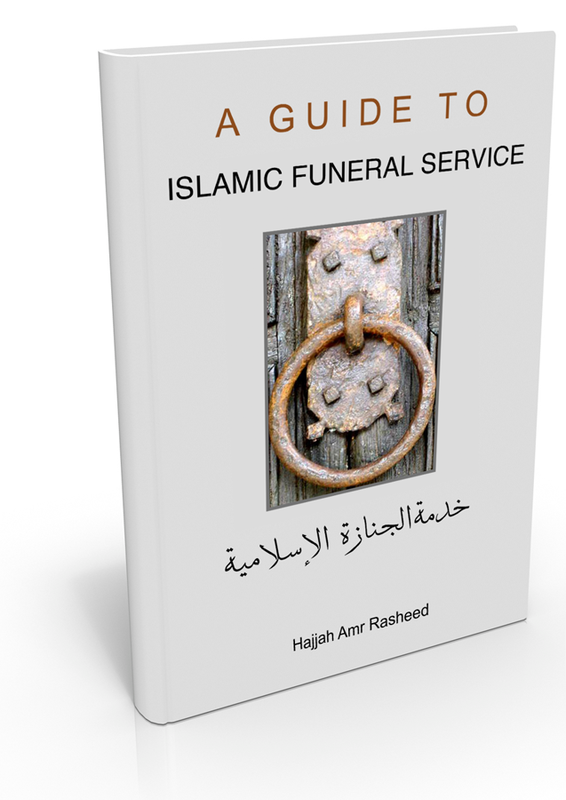 In a 28 page concise guide, Hajjah Amr Rasheed has researched and covered all the important aspects of Islamic Funeral. From 'how to prepare for the funeral' to 'all the steps to be taken' are well covered in this booklet with selective schematics for easy understanding. Generally the funeral for a Muslim is not complex, but someone or a family who is not familiar with or don't know where to get help from, it could be quite challenging. That's why the following guide can be very useful to keep in every household, specially for the Muslims living in the West. Hajjah Amr Rasheed, may Allah bless her and her work, has generously given permission to Technology of the Heart to spread the book to those who need it. Kindly donate any amount (suggested donation is $10 USD, but any amount is welcome) with your email address mentioned so that I may email you a copy of the booklet in PDF. Your contribution will go to charity works to help the poor and needy. At any case if you are under financial constraint and still need the booklet, simply email me, mysticsaint@gmail.com and I will send you a PDF copy free of charge. Thank you. Our Lord, forgive us and our brothers who preceded us in faith and put not in our hearts [any] resentment toward those who have believed. Our Lord, indeed You are Kind and Merciful.